The 1972 Stephen Schwartz musical Pippin is headed back to Broadway during the 2012-2013 season, according to the New York Post. Diane Paulus, who directed the Tony-winning revival of Hair, will also be at the helm of the Pippin revival. Following a recent reading of the musical, which was produced by Barry and Fran Weissler, a workshop will be held in 2011, and that will be followed by a full production at Cambridge's ART. Paulus is artistic director of the Massachusetts theatre. The Broadway opening will follow that engagement. 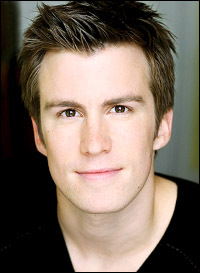 Paulus also directed the recent reading, which featured Gavin Creel as Pippin, Natalie Cortez as Catherine, Jayne Houdyshell as the Old Lady and Tracie Thoms as the Leading Player, the role made famous by Ben Vereen. Also part of the reading was Sept Doigts, a group of young jugglers and acrobats from Montreal. Pippin features a book by Roger O. Hirson and a score by Schwartz. Hirson, according to the New York daily, plans to rework some of his script. Producer Barry Weissler told the Post, "We are a ways off due to scheduling issues. But we're 100 percent behind it. And Sept Doigts is going to knock you out. They are amazing." The musical, according to press notes, is "the captivating coming of age story about a young man's search for meaning in his life, as told by a lively band of troubadours in the Roman Empire. The episodic quest of Pippin, the son of the powerful Charlemagne, takes him through battlefields, orgies, revolution, and finally, love and domesticity, as he tries to find a place for his 'spirit to run free,' for his 'corner of the sky." Bob Fosse directed and choreographed the original 1972 Broadway production of Pippin, imposing his conceptual vision onto the bittersweet fairytale that Schwartz and Roger O. Hirson created. Ben Vereen was the Leading Player ("Magic to Do," "Simple Joys"), John Rubinstein played the searching Pippin ("Corner of the Sky," "With You"), Jill Clayburgh was his love interest ("I Guess I'll Miss the Man," "Kind of Woman"), Leland Palmer his evil stepmother ("Spread a Little Sunshine") and Irene Ryan was Pippin's feisty grandmother ("No Time At All"). Ryan (the famed stage actress and TV's "Granny" of "The Beverly Hillbillies") left the show for health reasons and died during the run. The show ran 1,944 performances and was one of a handful of scores that brought a pop sound to the theatre in the 1970's (along with Hair and Jesus Christ Superstar).